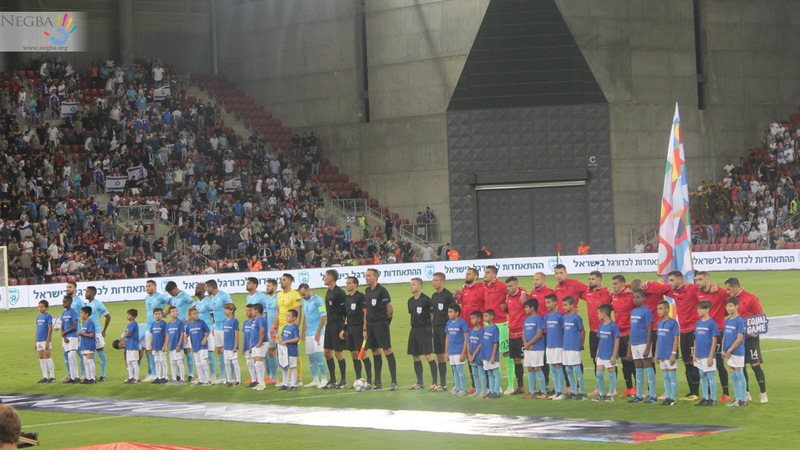 A group of 25 Negba children enjoyed an experience of a lifetime as special guests at a recent international football match held in Beersheva between the Israel and Albania national teams. But it wasn’t just the excitement of attending an event with over 16,000 cheering people; it was a lesson in life that went far beyond sports. Elior wasn’t just talking about sports. He and his friends are well aware that to make it as a professional athlete, years of demanding regimen, diet and grueling practices are required. But Elior was also relating to the hard work he and his friends put in obeying strict instructions and regulations as they toured the locker rooms at the impressive Turner Stadium, accompanied players of both teams during warmups, and then participated in the pre-game on-field ceremony. An exciting game ended in victory for Israel, 2-0. Negba is grateful to the Hapoel Beersheva Football Club and to Shlomi Numa, CEO of Kivunim, the Beersheva Municipality’s Company for Recreation and Culture, for this wonderful opportunity for growth.